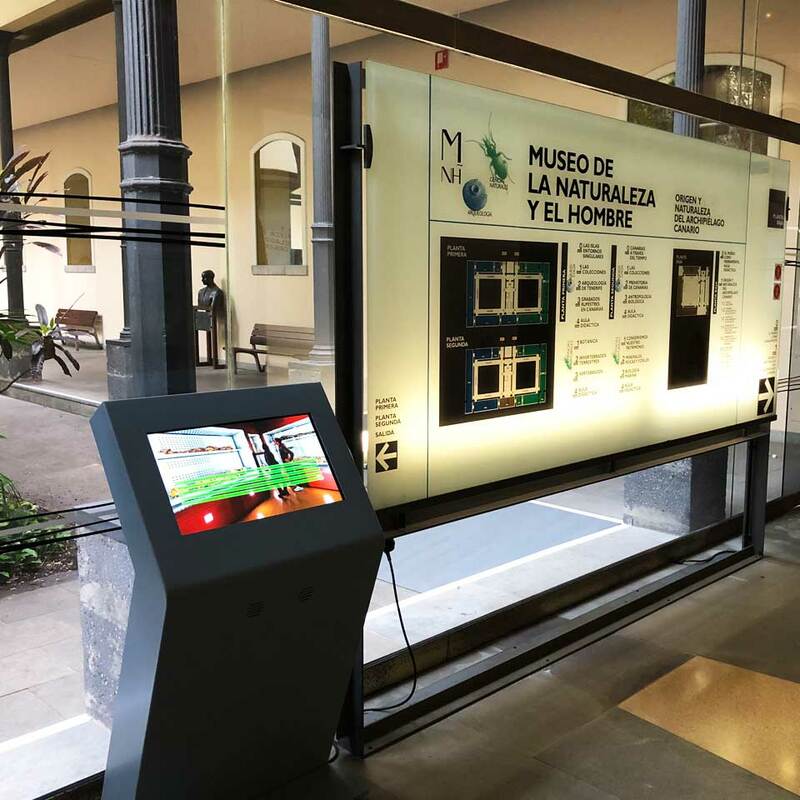 Through an international business partner of PARTTEAM & OEMKIOSKSwere installed interactive kiosks in the Museum of Nature and Man (MNH, Museo de la Naturaleza y el Hombre) in the city of Santa Cruz, Tenerife, Spain. Endowed with interactivity, the 22" digital kiosks HANDY, developed by PARTTEAM & OEMKIOSKS, allow visitors to respond to the satisfaction survey and consult different information about the museum. The increase of visitors to museums and other historical places, shows the growing interest in cultural tourism. Thus, museums are starting to explore new technologies to wave in more interactive and customized features that can enhance visitor experience. 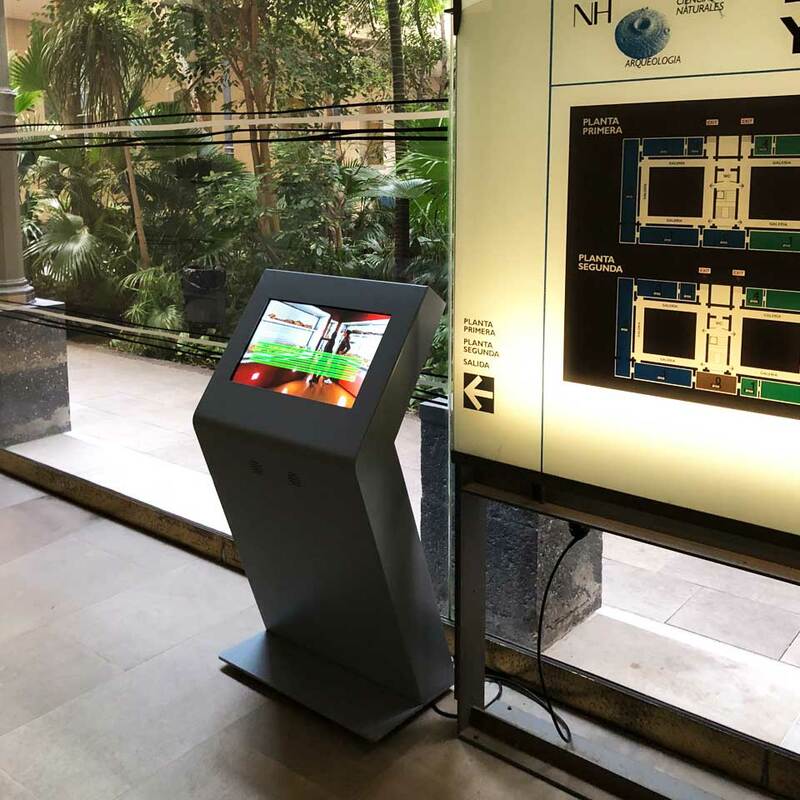 Very easy to check, the HANDY kiosk has been designed and developed to allow the integration of any type of touchscreen. This kiosk can be customized and accessible to people with reduced mobility. Interactive museums are increasingly using technological resources to deliver content in a participatory manner and to attract the public. The use of PARTTEAM & OEMKIOSKS technology, can maximize the physical and real experience in museums. PARTTEAM & OEMKIOSKS develops digital kiosks and billboards for different sectors and wants to invite you to know the technological solutions that can add value and create new opportunities for you and your business.